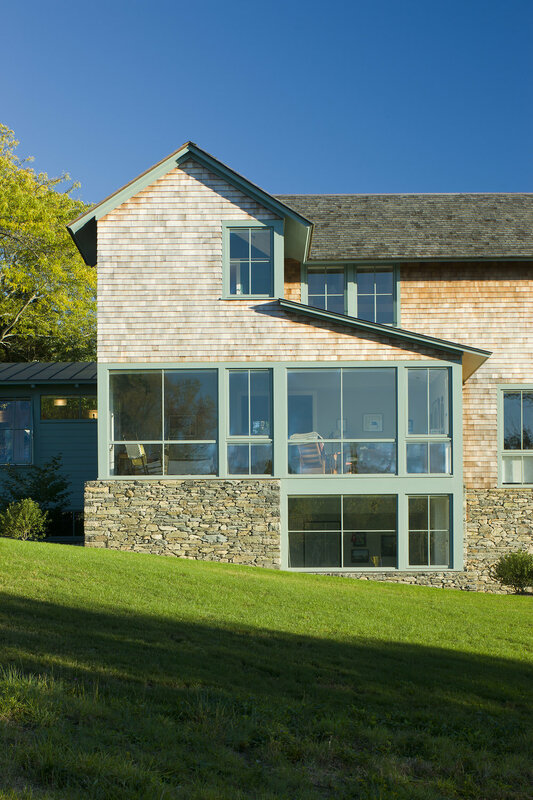 Perched at the uphill edge of a sloping field, this house is oriented to take in the arresting views of Narragansett Bay. 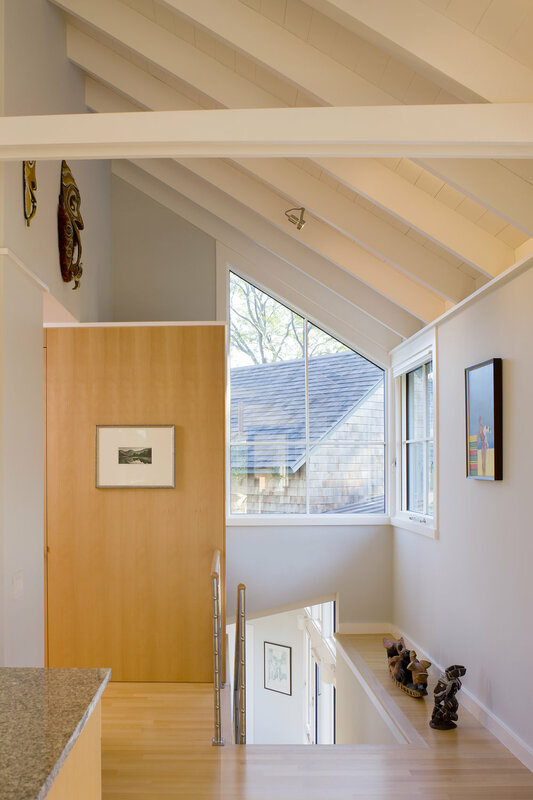 The stone walls of the terrace meld into the house walls forming a broad stone base, serving to the anchor the strong vertical form and providing a visual counterpoint to the more delicate open forms above. Native stone, traditional trim and shingles, and familiar forms are assembled into a decidedly new New England home.